Look what I did this weekend! This was my storage cabinet before. I couldn’t get the door closed. When I opened the door stuff fell out on my head. I could never find lids for the containers I wanted to use. I moved a few things. I got rid of a bunch of things. I bought some new containers that aren’t gross and yucky. 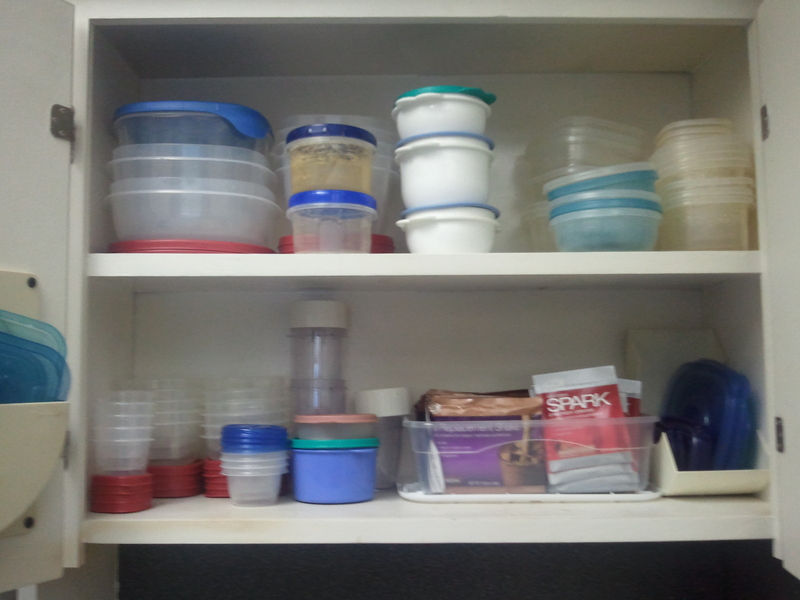 Everything in my cabinet now has a matching lid. Now if I could just get my closet as organized. I hate that part of my cabinets. 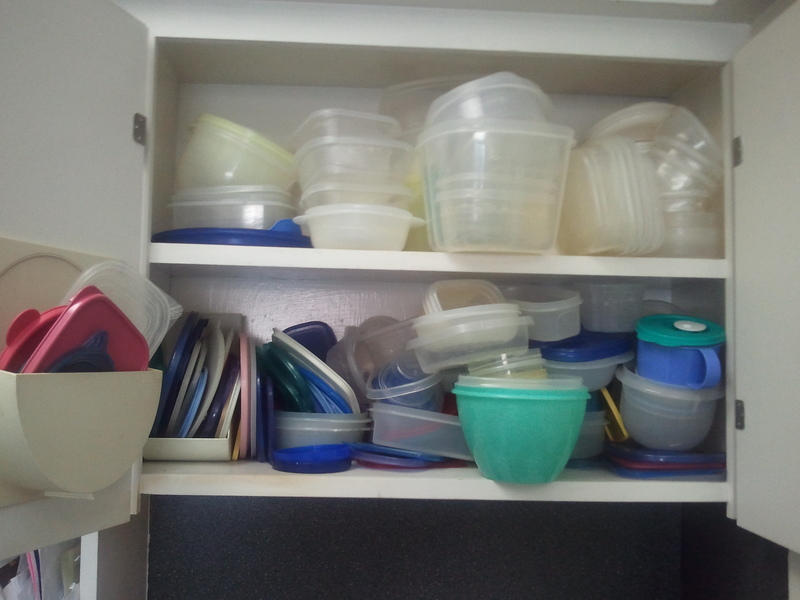 I keep all the lids in a different area and the bowls are stacked. works better for me.